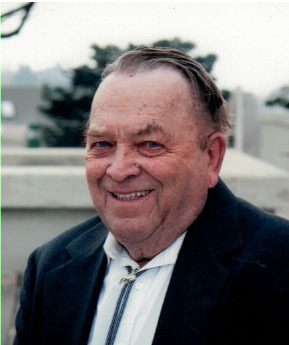 Doyle Corbett Webb, 88, passed away peacefully on Thursday, January 17, 2019 at his home in Richmond, Utah. He was born on November 3, 1930 in Smithfield, Utah to Samuel Milton and Albertina Corbett Webb. He is the oldest child with two younger brothers Joseph Keith, and Milton Clair. Doyle was raised in Richmond, Utah where he attended and graduated Lewiston Jr. High and North Cache High School. He served in the US Army during the Korean War. He married Winona James on December 4, 1954 and they had seven children. He loved playing baseball, fishing and hunting, playing pool at LD's Cafe, dancing, and buying lottery tickets. He was an avid Utah Jazz fan and always enjoyed watching them play. He worked at the milk and cheese plants in Richmond and retired after 37 years. Doyle was commonly seen driving the roads of Richmond looking for pheasants. Doyle was a great caregiver and took care of many family members in their time of need. He is survived by his children Steven Kay (Lore) Webb, Jana Lynn (John) Anderson, Scott James (Lori) Webb, Lisa Ann (Dennis) Rogers, Don James (Jodi) Webb, and Dena Marie (Chuck) Elliott. He is also survived by 29 grandchildren, 31 great grandchildren and a brother Milton Clair Webb. He was preceded in death by his parents, his wife Winona, a son Doyle Ray, a brother Joseph Keith (Nola) Webb, and a son-in-law John Anderson. Doyle lived life his way and was king of the road. We loved him and will miss him dearly.